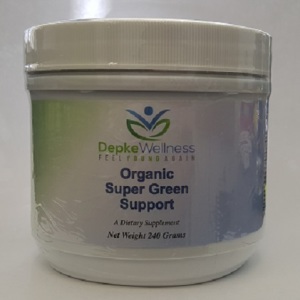 The Depke Wellness Organic Super Green Support is a concentrated, all-natural blend of organic grasses, fruits and vegetable powders that can mix in water or other liquids to make a delicious, healthful drink. Organic Greens and Reds powder is a healthful supplement for those who wish to supplement their diet with this concentrated phytonutrient blend of grasses, vegetables and botanicals. Cruciferous vegetables such as broccoli and cauliflower, offer protective sulforophane compounds known for their ability to induce phase 2 detoxifying enzymes. 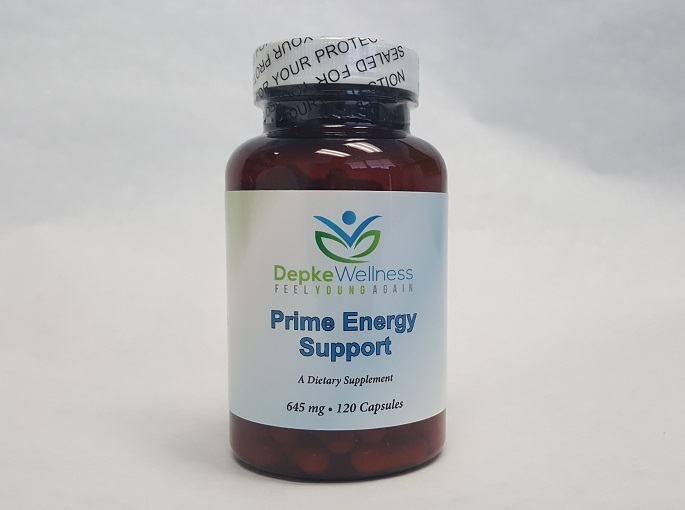 This product contains a wide assortment of organic fruits including raspberry, strawberry and blueberry to provide potent antioxidant protection. 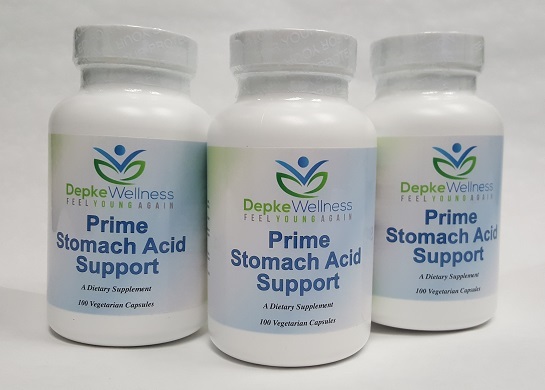 It also supplies 400% of the Daily Value for Vitamin C. In addition, fiber from flax seed and digestive enzymes are included to support overall gastrointestinal health. The oxygen radical absorbance capacity (ORAC) assay is a method for quantifying the antioxidant strength of substance (i.e. its ability to fight free radicals). The method was developed in part at the USDA Human Nutrition Research Center on Aging at Tufts University. The measurement is standardized against a water- soluble vitamin E derivative (called Trolox) which has a known ORAC value, and is reported in terms of Trolox equivalents (μmole TE). This method serves as an excellent way to quantify the ability of various compounds to quench free radicals. ORAC values have been measured for many fruits and vegetables as well as numerous plant extracts. For example, a single serving (1/2 cup) of fruits and vegetables yields an ORAC value between 600 – 800 μmoleTE. Based on the recommendation that we should be consuming nine to thirteen servings of fruits and vegetables a day, one can tell that the ORAC value of a healthful diet would be quite high. ORAC value for Organic Greens and Reds is approximately 3,000 μmoleTE per serving which is the ORAC equivalent of 3-4 servings of fruits and vegetables. While dietary supplements do not take the place of a healthy, well-balanced diet, Organic Greens and Reds can serve as an excellent way to help meet the daily fruit and vegetable serving recommendations. Organic Greens and Reds may be a useful dietary supplement for individuals wishing to supplement with a healthful combination of phytonutrients. Organic Wheat Grass (young leaf), Organic Green Tea Extract (leaf), Organic Carrot powder (root), Organic Broccoli powder (aerial parts), Organic Cauliflower powder (aerial parts), Organic Kale powder (aerial parts), Organic Parsley powder (aerial parts), Organic Spirulina (entire plant), Organic Chlorella (entire plant), Organic Milk Thistle Extract (seed), Organic Beet powder (root). Fruits Organic Raspberry powder (fruit), Organic Tomato powder (fruit), Organic Acerola Extract (fruit), Organic Strawberry (fruit), Organic mango (fruit), Organic Mountain Cranberry (fruit), Organic Hawthorne Berry Extract (fruit), Organic Apple (fruit), Organic Black Currant powder (fruit), Organic Pomegranate extract (kernel), Organic Blueberry powder (fruit), Organic Acai (fruit), Organic Plum Extract (fruit). Fiber and Enzymes Organic Gum Acacia, Organic Flax Seed powder, Organic Inulin and an Enzyme Blend of Cellulose, Protease, Amylase and Lipase. With Organic Flavors (Vanilla and Strawberry), Organic Stevia Extract and Citric Acid, organic maltodextrin and/or manioc starch, silicon dioxide,organic rice, and sunflower lecithin. *This product contains no gluten, dairy, soy, or artificial ingredients. 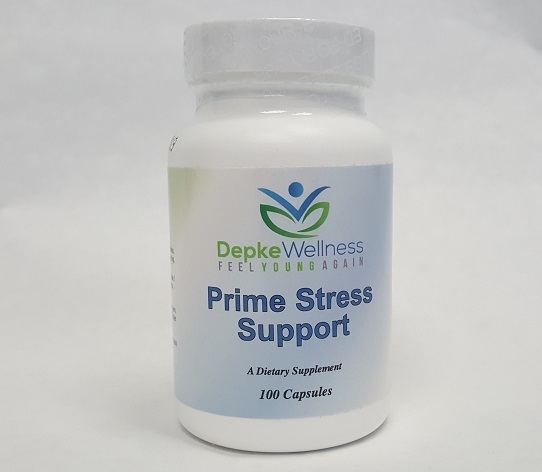 As a dietary supplement, adults take 1 serving per day, mixed in 8-10 ounces of water or other liquid. Blend well. Yong LC, Petersen MR, Sigurdson AJ, Sampson LA, Ward EM. High dietary antioxidant intakes are associated with decreased chromosome translocation frequency in airline pilots. Am J Clin Nutr. 2009 Nov;90(5):1402-10. Lin LZ, Harnly JM. Identification of the phenolic components of collard greens, kale, and Chinese broccoli. J Agric Food Chem. 2009 Aug 26;57(16):7401-8. Fujii H, Noda T, Sairenchi T, Muto T. Daily intake of green and yellow vegetables is effective for maintaining bone mass in young women. Tohoku J Exp Med. 2009;218(2):149-54. Song W, Derito CM, Liu MK, He X, Dong M, Liu RH. Cellular antioxidant activity of common vegetables. J Agric Food Chem. 2010 Jun 9;58(11):6621-9. Ou B, Hampsch-Woodill M, Prior RL. Development and validation of oxygen radical absorbance activity using fluorescein as the fluorescent probe. Journal of Agricultural and Food Chemistry. 2001. 49:4619-4626.